How to Upload PDF Files to Your WordPress Site? Do you need to upload a pdf file to your WordPress site? Uploading a pdf file to your WordPress site is very easy and simple job. 1. First, edit that post or page where you want to upload the PDF file. 2. Place your cursor exactly where you want to place the text link. 3. Click on the Add Media button. 4. Next, click on Select Files button to select the PDF file you need to upload. 5. Select the PDF file that you want to upload. 6. 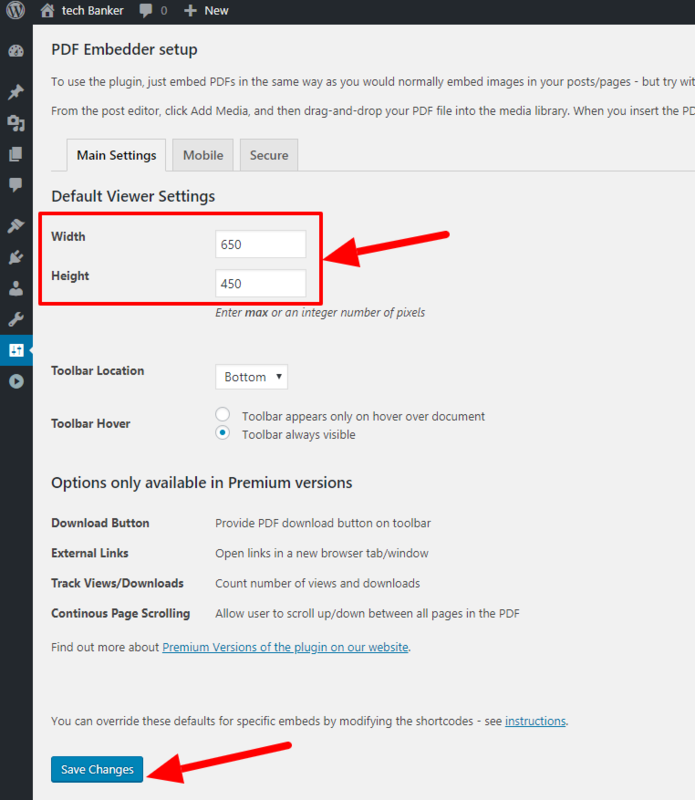 Below the ATTACHMENT DISPLAY SETTINGS, select Link To Media File. 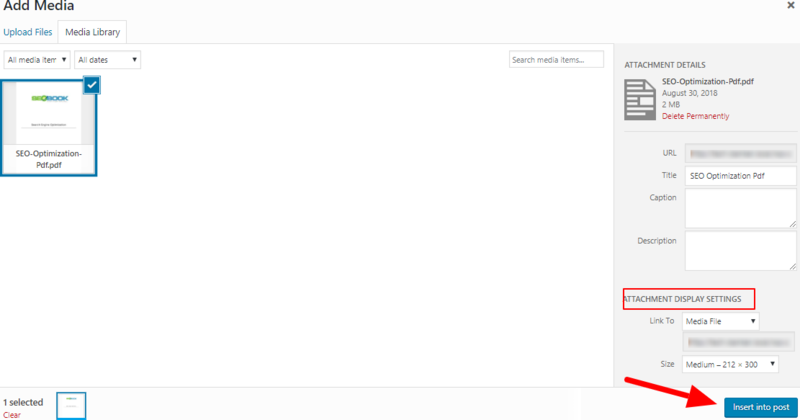 Now, WordPress will import your PDF file to the media library. Once uploaded, you’ll view the preview of your PDF file. 7. Click on Update Button to see the changes. Wants to open a PDF in the new tab? 1. Click within your linked text. 4. Check the Open link in a new tab and click Update. 5. Now, Click on the Update button to save the Post or Page. You can also upload PDF file in your WordPress Posts or Pages with a WordPress Plugin. 1. 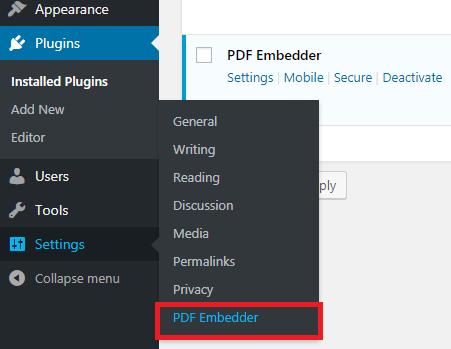 First, install the PDF Embedder Plugin, activate it in your site. 2. Go to Settings >> PDF Embedder to configure the basic settings of Plugin. 3. Here you can provide the Height and Width of the Embedder and other basic settings. 4. Now, Edit the Post or Page where you want to embed PDf file. Click on Add Media button to upload a PDF file. 6. Click on the Update button to see the changes. I hope you like this article and it helped you to learn the uploading PDF files in WordPress.